The new year has stirred up fresh concerns over the impact of Australia’s upcoming carbon price on electricity bills for small business and other commercial customers. While carbon tax relief for Australian households has been well publicised, the situation for commercial customers has received less coverage. Commercial electricity customers often pay a lower rate for power than residential users; so the carbon tax will in effect see electricity costs increase by a greater degree for some enterprises from July 1, 2012. According to some estimates, the jump could be as much as 19 percent for big power users. In terms of government support, the manufacturing sector will be able to benefit from the $800 million Clean Technology Investment Program, which will provide grants to manufacturers to support investments in energy-efficient capital equipment and low-pollution technologies, such as commercial solar power systems. The food sector will be able to apply for grants under the Clean Technology Food and Foundries Investment Program; a competitive merit based $200 million initiative to help relevant businesses large and small to invest in improved energy and/or carbon efficiency for production processes and products. Some in the food and manufacturing sector may find even without successful application to either of these programs, solar energy systems will provide a much-needed buffer against rising electricity prices. For all small business enterprises with an aggregated turnover of less than $2 million a year, the small business instant asset write-off threshold will be increased to $6,500 for depreciable assets from the 2012-13 tax year. Small businesses can also take advantage of the Solar Credits scheme to purchase a solar power system right now. For just a few thousand dollars, even an entry-level rooftop solar panel array can slash power bills by a significant amount. The Solar Credits rebate will be further reduced from July 1 this year. Other forms of carbon tax relief will be available for small and large enterprises, the details of which can be viewed on the Australian Government’s Clean Energy Future web site. 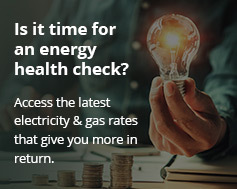 The carbon tax isn’t the only power bill bogeyman on the horizon – frequent electricity price rises in the years ahead due to other factors will become the norm rather than the exception. For businesses in Australia, energy efficiency and the implementation of on-site alternative energy generation will become an increasingly pressing issue and an important part of maintaining profitable enterprises.